‘Flash’ Butter Dish by Dorothy Hafner, Rosenthal Studio Line, Germany circa 1984. 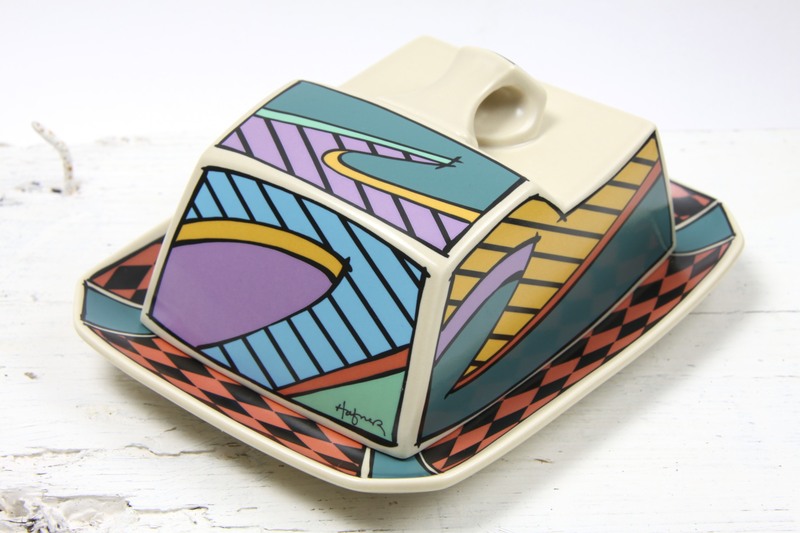 This is a Fantastic butter dish by Rosenthal Studio Line, part of the ‘Flash’ range designed by Dorothy Hafner circa 1984. A Great 1980’s Postmodern / Memphis style design by Dorothy Hafner, one of the most well respected proponents of the avant-garde in the ceramic design business. Her works excelling in a synthesis of shape and pattern. The butter dish has a lovely angular shape, with a small handle on the top to lift the cover. The rectangular dish has an inner lip for the top to fit snugly on. Perfectly practical as a butter or even cheese serving dish, also beautiful as a decorative piece. The decor is very reminiscent of the era, very colourful, abstract and cartoon like. 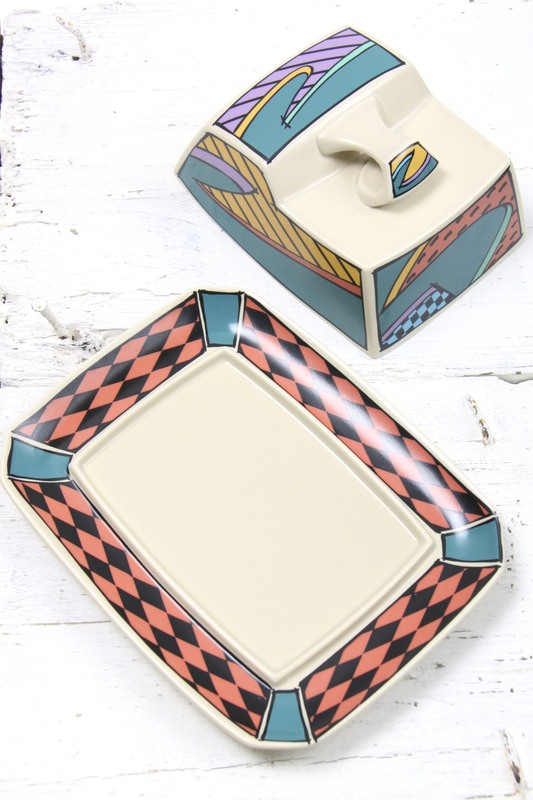 The butter dish would make a Fabulous addition to any Rosenthal ‘Flash’ collection, and would bring a great design edge and splash of colour to any retro, vintage, 80’s, Postmodern or contemporary interior! In Excellent Condition, no marks, chips or scratches. Measuring 19 x 14 x 7cm / 7.5 x 5.5 x 2.75in. Marked to the base ‘Rosenthal Studio – line Germany Flash Form Design Dorothy Hafner’.